The curvilinear shape on the palm allows for natural articulation. Length is provided to form the dowel affect to lock in your grip and create maximum torque. Protection and traction on the side wrist in the false grip. Coverage for the specific areas of vulnerability. 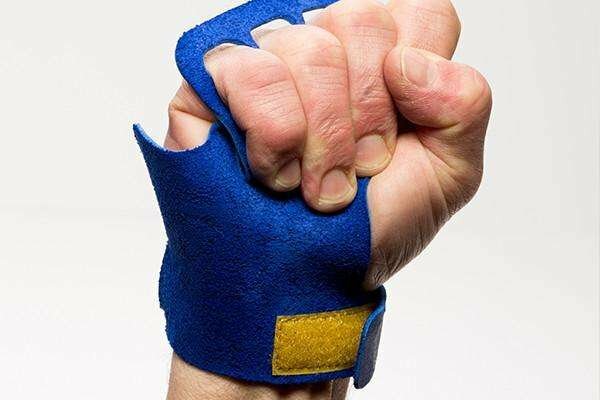 VICTORY GRIPS ARE 100% MADE IN THE U.S.A. 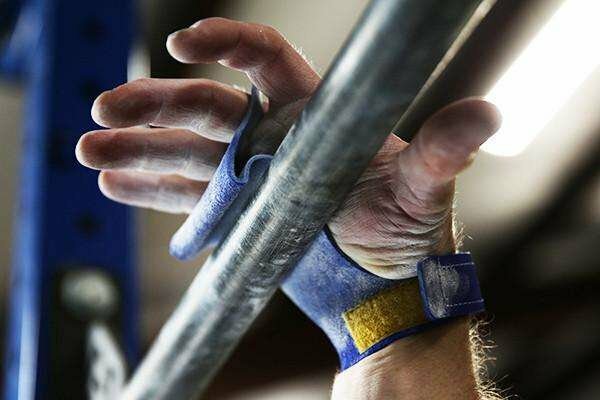 The grips fit onto the middle, ring and little finger with a protective covering around the wrist, which is vulnerable in the use of the false grip The design leaves the hook grip open for barbell work and allows for seamless transitions between exercise elements. The leather is carefully chosen to have proper texture and thickness to ensure comfort, protection, and performance from the first use. 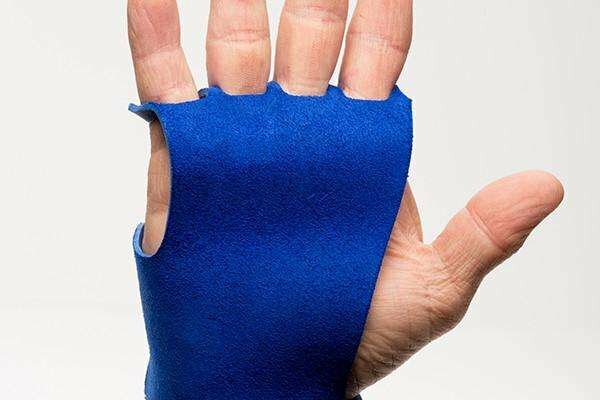 Its one-piece construction ensures maximum durability during high intensity gymnastics skills. 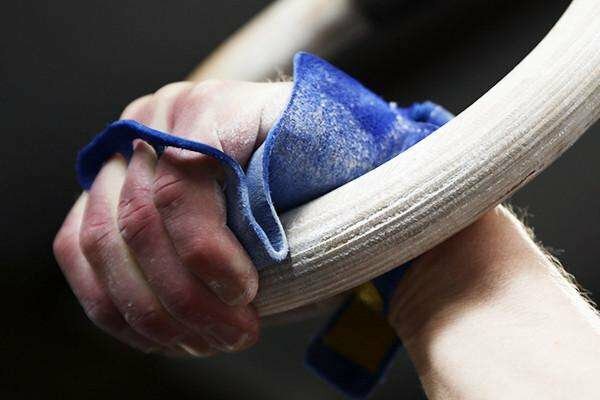 The grips will stretch about a half inch during its lifecycle and should last up to 6 months, dependent on intensity and volume of training.